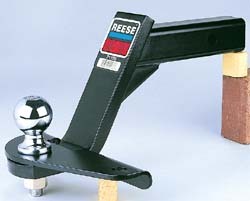 Weight Distributionsare Keeping you safe from swerving and swaying on your next road trip with our Large selection of Hitches and Weight Distribution Systems by Reese, Equalizer and Camco. 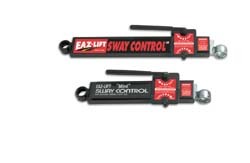 Our large selection of Sway Controls by Reese, Equalizer and Blue OX gives you the security and control you need to protect your next family trip. Buying an rv is one thing, towing it is another. 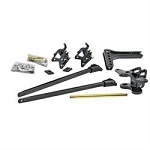 Make sure you have everything you need including weight distribution hitches and sway control arms from brands like Reese, Equalizer, Blue Ox and more. We have several varieties including the round bar and trunnion style. With our Sway control arms you will be able to steer into those tight camp sites and back into those narrow drives. We offer top quality products so you do not have to worry wioth the towing. With the security and contorl that these brands offer your next camping trip will be sure to be enjoyable and worry free. across the Country. With our warehouses in 11 states across the US, we are the fastest shipping and processing RV weight distribution hitches and accessories in the Nation. Same day shipping applies if order is placed before 2pm EST monday-friday with the exception of holidays and weekends. *No shipping to Hawaii or Canada. With our numerous shipping warehouses, we strive to eliminate back orders. 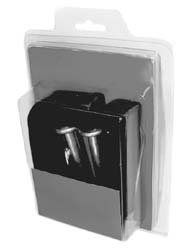 Shipping warehouse locations: TX, CA, OR, IA, UT, IN, FL, KY, GA, MD, and MA. SAVE! No Sales Tax if Shipped outside of Kentucky. The Sales Tax Savings will help pay for the shipping charge! We make shopping easier with our one-page checkout. Customer Service : 9:00am-5:30pm Eastern time Mon.-Fri.